If you own a beautiful car, there’s no reason not to protect it! SunTek Ultra is the leader in clear paint protection films (PPF) which provides an 8mill thick urethane film to be applied to vulnerable areas of your vehicle. 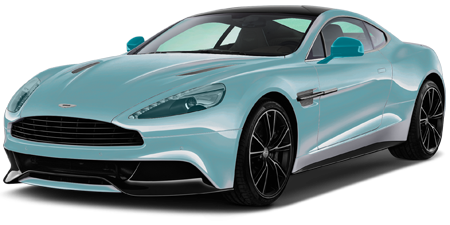 The film is optically clear when applied properly by our SunTek Certified Installers and allows you to drive worry free from rock chips, stains, bird droppings, and natural hazards from everyday driving and wear and tear. The film is also backed with the longest warranty in the industry! Clarity: High quality paint protection films have an extremely clear finish and will not dull or haze your existing paints finish. Thick: SunTek Ultra provides an 8mill optically clear film which provides an impenetrable wall between your vehicle and road hazards. Lifespan: Depending on how the film is treated it may last a lifetime. Regular washing and waxing will ensure a long lasting clear finish for years to be admired. Pair your Protection Package with a Ceramic Coating Package to take your project to the next level of Protection and Ease of Maintenance! Our entry level package is a great way to begin exploration of paint protection films and see real results on the most vulnerable areas of your vehicle. “I dropped off my Model S for SunTek clear bra on a Saturday and it was ready on Wednesday. Real beautiful work! To top it off he even charged my car for me. Talk about going above and beyond! Lol. I’d recommend them to anyone!” – Maurice H.
The standard package is designed as an upgrade from the starter package and is most suited for SUV’s and large Sedans where the front edge of the hood and fenders are more likely to take damage from rocks. Our Ultimate package is our top tier of industry standard protection which will give your vehicle the protection it deserves from day to day commutes and road hazards. Our Custom package takes into account your vehicle and produces unmatched coverage in vulnerable damage areas unique to your vehicle protecting common wear and tear surfaces. Our Full PPF package is our top tier protection package which covers every possible exterior painted surface with our renowned custom installation techniques.